PUMA launches a new colourway | A bold and sweet colourway made for the Future! It didn’t take long time before the PUMA Future got a new colourway, and PUMA has been very consistent so far on giving us something new and nice frequently. This colourway might just one of their best for the Future! Ladies and gentlemen, please give a nice and warm welcome to the PUMA Future Texture Pack! PUMA keeps on surprising with launches after launches. First we got a whole new boot with some neat technologies. Then we got a colourway that was over the top for Griezmann, and now a whole new safari inspired colourway. A colourway that might be the best PUMA colourway at the moment. 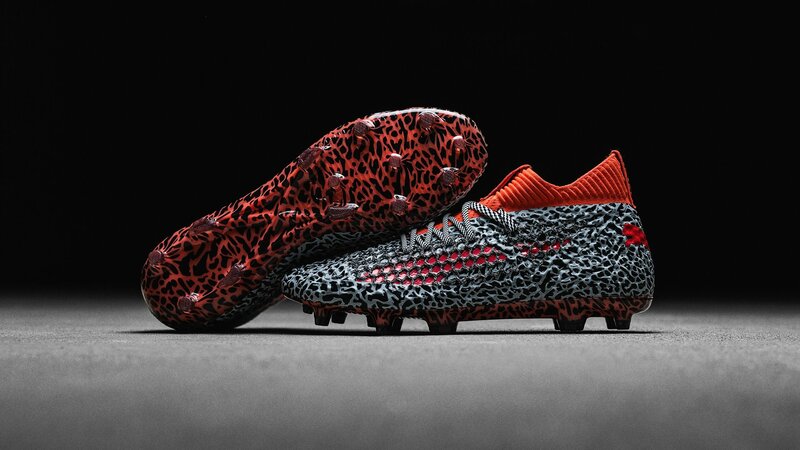 Try thinking off Griezmann, Marco Reus and Balotelli running around in these boots, and just playing around with defences giving them no chances… Fingers crossed! You get all the cool features and technologies as the previous colourways, meaning the only changes is the colour on the boot! So you get the ergonomic sock which raise you awareness, due to the streamline sock and seamless feeling. By getting an increased awareness you improve your interaction with the ball, and making you able to dominate on the pitches! The new Texture Pack still has the revolutionary NETFIT technology, which allows you to lace you boots as you want. This gives you a more personal fit, and you can customize your laces just as you want. Given you have a narrow foot, then lace the laces so you get a tighter fit, and if you have a wide foot, then lace them for a wider fit. Seems nice right? But you can actually lace the boots if you want a fit that’s fitted for acceleration, control and much more … Well the opportunities are endless, so lace up with your own style! Can’t stop staring at the new Colourway? I understand you! Find your new PUMA Future Texture Pack boots right here!